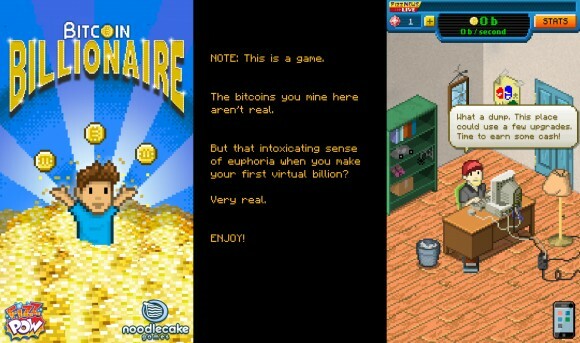 Here is something interesting for you to get a bit of rest from the real world Bitcoin mining with a game for iPhone and iPad called Bitcoin Billionaire that has a virtual Bitcoin mining operation. 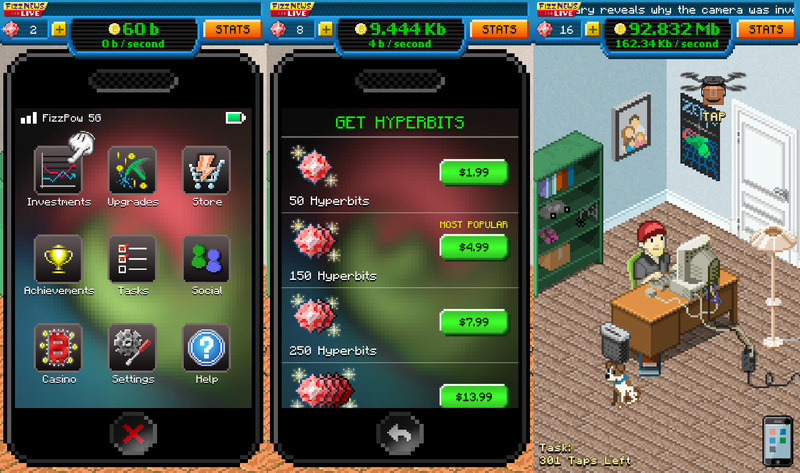 The game is free and fun, a real time waster that is highly addictive, so be very careful with it. It has a retro style game graphics that could appeal to some of you that remember the time when all games looked like that, but that fact does not hurt the game at all. The goal of the game is to become a Bitcoin Billionaire by mining for Bitcoins and you do that by tapping on the screen of your mobile device, the more you earn the more options you have to earn even more – you can upgrade your miner for higher performance, do investments that bring you extra profit and so on. Simple concept that is no entirely relevant to actual Bitcoin mining, but instead taking a fun and addictive tap, tap, tap on your screen implementation with the ultimate goal of getting from geeky Bitcoin miner to geeky Bitcoin miner who owns a private island and is a Bitcoin Billionaire. As we’ve said the game is free, though you can still buy in-game resources with real money inside it when your fingers start hurting from too many taps on the screen mining Bitcoins. Since the game is pretty addictive, though not overly realistic, we are going to warn you again to be careful with it, unless you have a lot of spare time you need to fill with something. Some of us already spent quite some time yesterday just trying out the game so that we can share some personal feedback from it, it can be quite addictive even for people that usually do not play mobile games on their smartphone or tablet devices. But then again it was fun thing checking it out and mining a few Gb of Bitcoins in our virtual tapping BTC mine with Bitcoin Billionaire.